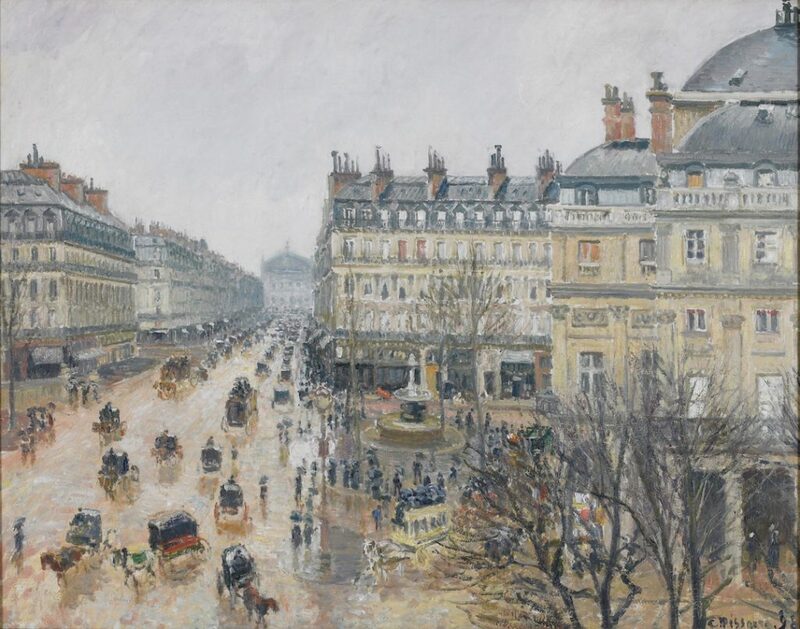 Place du Théâtre Français, Paris Rain, 1898 (oil on canvas) by Pissarro, Camille (1830-1903); 73.7×91.4 cm; Minneapolis Institute of Arts, MN, USA; (add.info. : Avenue de l’Opera. ); The William Hood Dunwoody Fund; French, out of copyright. Cost: Timed-entry tickets go on sale to the public on Feb. 1, 2019 and are $16.50 for post-secondary students and youth ages 17 and under, $21.50 for seniors and $25 for adults. Tickets will be available online at www.ago.ca, in person and by phone. Details: Beloved for their lush landscapes and sea vistas, the masterpieces of Impressionism are some of the world’s most recognizable artworks. The distinctive styles of Monet, Degas, Pissarro and others are seen on the walls of the most monumental museums, but are also present in our daily lives through countless reproductions on posters, notecards and calendars. An upcoming AGO exhibition broadens that view of Impressionism, shining a new light on the work of some of the world’s most famous artists. In a groundbreaking first, Impressionism in the Age of Industry: Monet, Pissarro and more explores the Impressionists’ fascination with industry, technology, and labour during the rapid industrialization of Paris and France in the 1800s. This collection of rare and exceptional artworks invites AGO visitors to imagine their own city in the changing streets, lives and landscapes of late 19th century France. Organized by the AGO and curated by Dr. Caroline Shields, the AGO’s Assistant Curator of European Art, this revelatory exhibition features over 120 paintings, prints, sculptures, photographs and period films, including rare works from museums in the United States and Europe. The exhibition is also accompanied by a variety of thematic programs, menus and other offerings.